ATMORE, AL - Construction of the hotel tower can be seen by motorists passing by on Interstate 65 as workers set the exterior glass 16 floors high. The new Wind Creek Casino is on schedule to open in January and the luxury hotel will follow in February. When finished the exterior will feature stone and copper finishes with Indian motifs, while the interior will look and feel like Las Vegas. The Poarch Creek Tribe would like install Class III gaming, such as blackjack, roulette, craps, and other table games, however, the Alabama governors have historically fought to prevent any gambling beyond Class II gaming which is allowed on reservations by federal law. 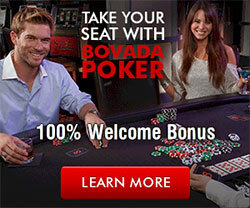 Class II gaming allows players to play against other players, not against the house. It includes electronic bingo games which can appear nearly indistinguishable from Class III slot machines. The 16-story hotel includes upscale suites at the top which will cost several hundred dollars per night. Luxury suites over the gaming area will cost $2,000 to $3,000 a night and will overlook the lake or the amphitheater. When the casino and hotel are completed, the present Poarch Creek Entertainment Center will be replaced by a 5-acre lake and pool and a golf course. Later, when the casino and hotel are financially successful, the tribe plans to double the casino' size and build two more hotel towers.